Calculator for the size of the visual field at a certain distance. The visual field of an adult human has an average size of 214 degrees in width and 140 degrees in height, these values differ individually. 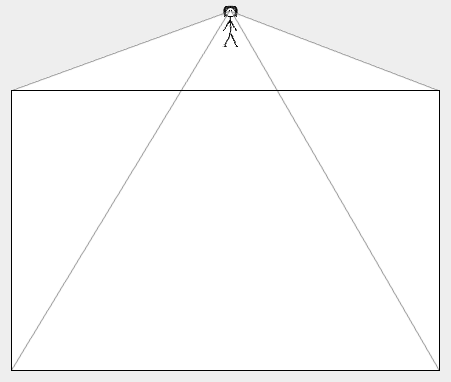 The angles can be converted to lengths for a distance. Please enter a distance, the dimensions of the visual field in the same unit (e.g. meters or miles) will be calculated. Example: at a distance of 2 kilometers, about 13 kilometers in width and 11 kilometers in height can be overlooked.